aka, my new hobby. There could be lots of pictures. I’ve had one of those cuisinart ice cream makers for years, and I’ve hardly used it at all. 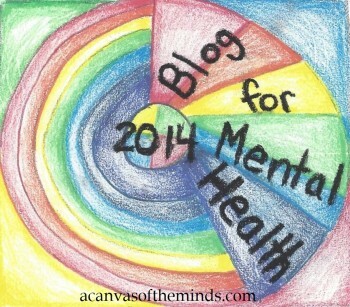 Until this summer. I decided to give it a whirl, and when I mentioned it to Roland, he had just seen this “Master Ice Cream” recipe in the New York Times. This is our 3rd flavor, and one that will demonstrate just how easy and how hard this process can be. For the record, our first 2 were basic vanilla, and toasted coconut. 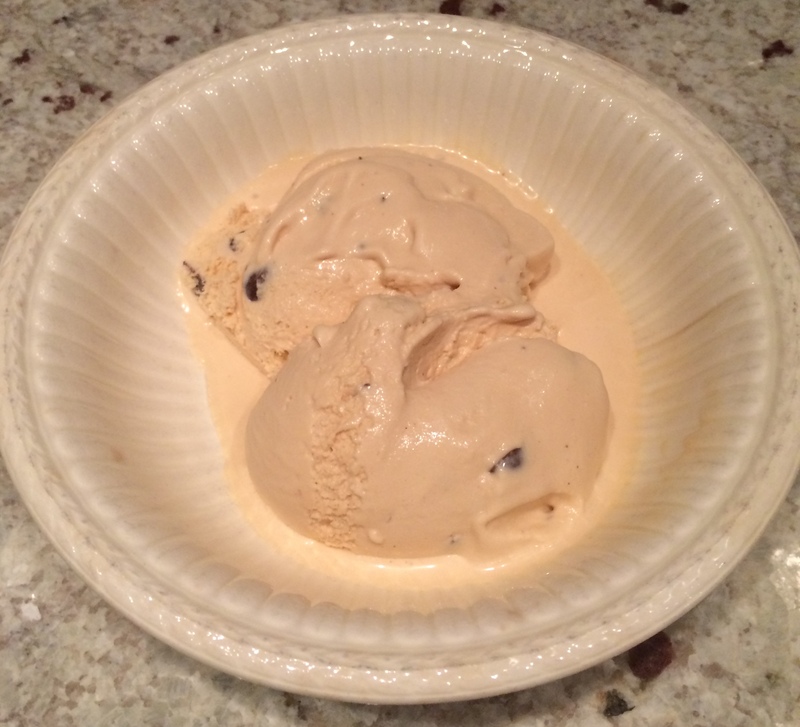 I decided to skip from ice cream 101 to the advanced course when we thought up caramel chocolate chip. I started with the master recipe, using her instructions for the salted caramel version. Of course I made changes. Duh. 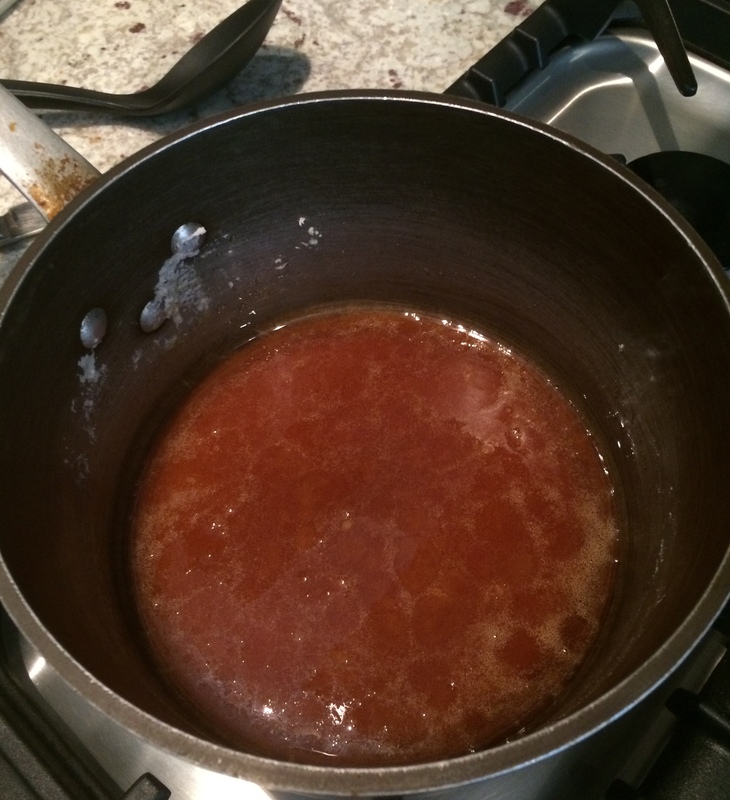 Starting with only 2/3 cup of sugar to make the caramel. Ta dah! I think it looks like it’s supposed to. 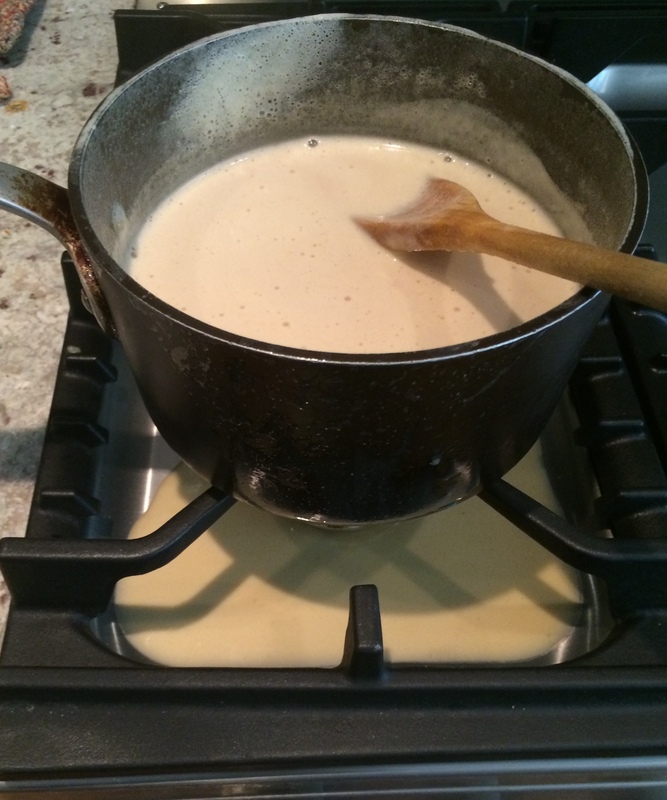 Then you proceed with making the custard, in the same pan, with the hot caramel. 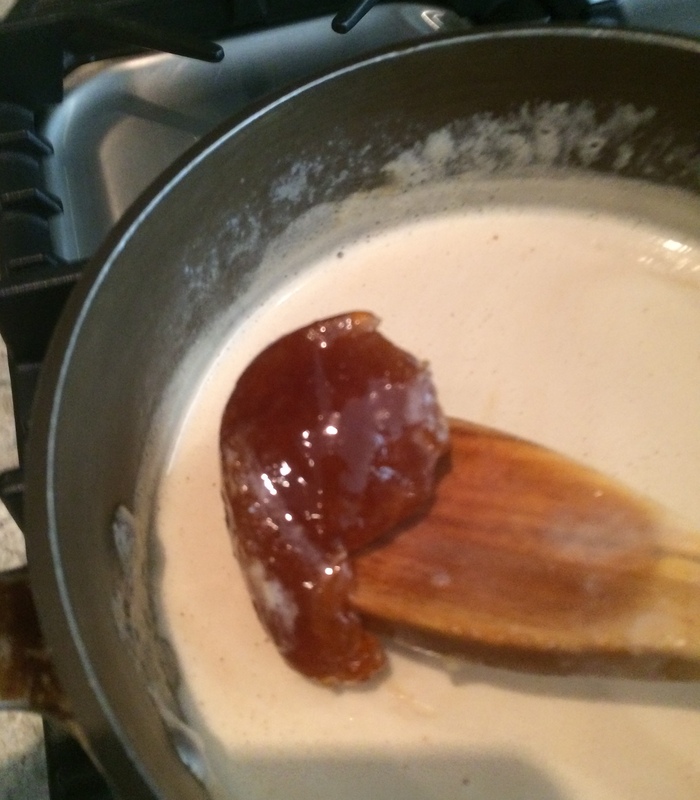 Adding the cold milk and cold cream onto the hot caramel meant serious potential for disaster. The caramel hardened instantly and started cracking. I had 2 choices… throw it all away, or hope that once the cream started heating up, the caramel would remelt and all would be well. Oops. At this point, however, the caramel was melting pretty well, so I just turned off the heat, stirred a little more, and then took out the remaining clump of unmelted caramel. 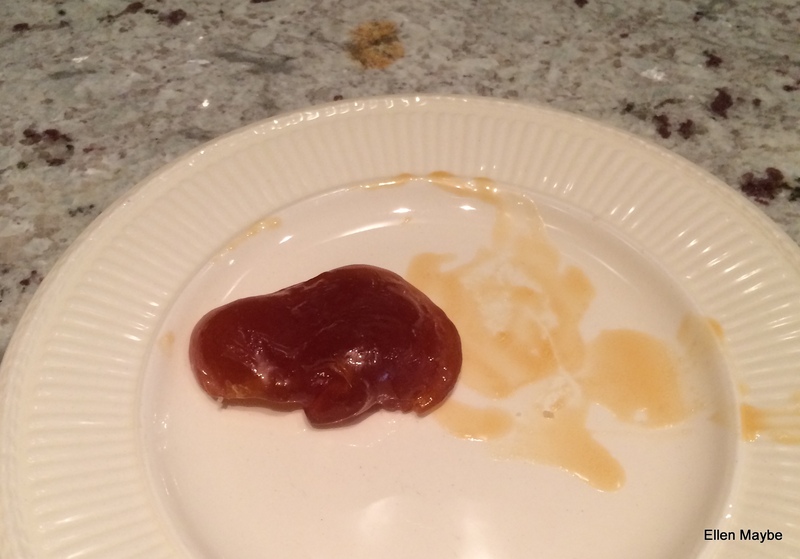 I should title this hard lump, “how to make caramel candy the hard way.” Of course I ate it. Shortening this already long story, I finished making the custard, chilled it as directed, and proceeded with the ice cream machine, adding some chopped up chocolate chips near the end. It probably should have processed just a little bit longer because it came out very soft serve, and even after a stint in the real freezer, it was still pretty soft. That didn’t stop us from eating it. Duh. Totally worth it. Just some random jottings & writings as time (and content) allow.